A blended classroom is when a teacher combines digital learning with face to face instruction. I was reticent to do this at first because I have these complete interactive notebook units that are completely paper-based, and I've had a lot of success with them. If it ain't broke, don't fix it--right? My school system is going 1:1 this next school year. I was more than a little wary about it, but boss-man said "go," so I knew I had no choice but to get on board. My students want to be on their devices, after all--it's second nature to them, and it's been working really well so far. That said, however, I am not taking my classes completely digital. Face-to-face time will always be important, and direct instruction is sometimes necessary. Blending my classes has shaken things up, though. In a good way. A very good way. I teach several subjects, but world history is my wheelhouse, so I'm going to use Unit 1: Ancient Civilizations as an example. I set up my interactive notebooks with a main section, full of handouts that apply to the entire course, and then I separate each of the following sections by unit.The left side of each page is content. The right side is student interaction with that content. I began blending by looking at my table of contents and taking notes. 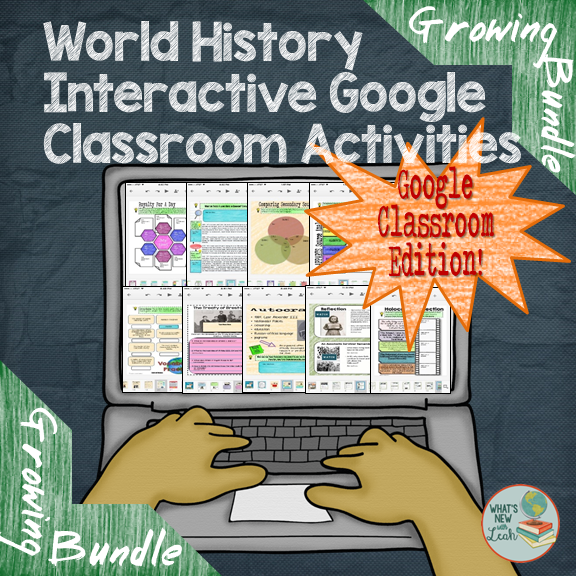 A couple of weeks ago I wrote about how I was creating interactive digital activities with the guidance of Danielle Knight who has some AMAZING ideas. You can read about it here If you plan to create them, her toolkit is beyond helpful. 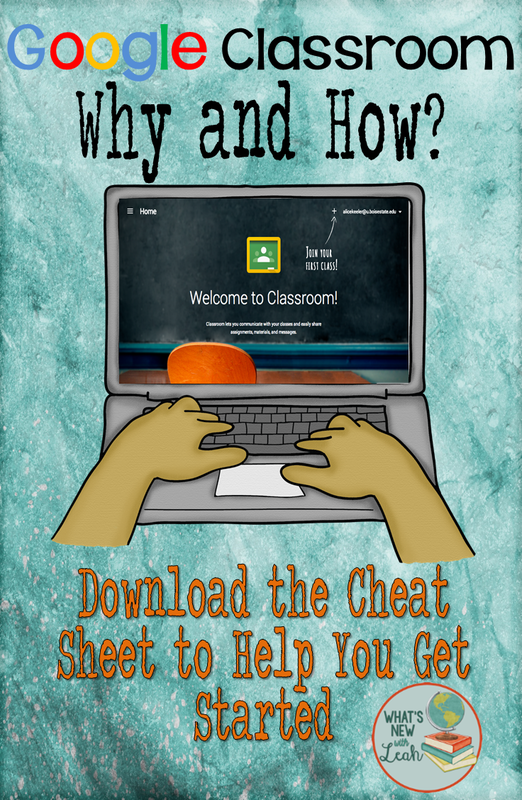 If you're looking for some ready to go, no prep, digital resources, you can preview mine here. 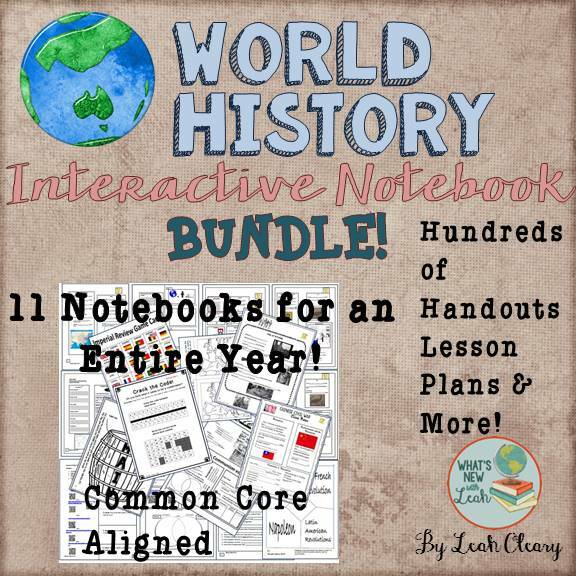 I'm working on blended-learning add-ons as supplements for each of my world history interactive notebooks, but for now, I've got a world history growing digital classroom bundle that is a huge money saver right now (as you'll get all future additions for free). It goes well with my paper interactive notebooks. I'm still creating PDFs, but I have to say, blending my classroom has benefited both me and my students. It makes my job a lot easier, and it puts the responsibility of content learning where it belongs--on the students. 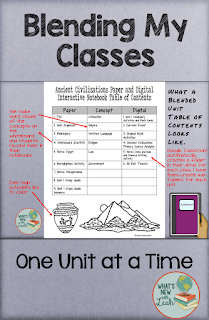 When I began unit 1, the first thing I assigned the students was their digital vocabulary work. They really seemed to enjoy it, but I knew it was effective by two forms of evidence. 1. When I gave them the first direct lecture over Egypt, they already knew the words and were able to use them in dicussion. 2, The scores on their Google Forms (self-grading) Quiz were impressive. See the vocabulary activities HERE. Thanks for stopping by, and don't forget to come back next Monday to see how I implement stations and have students submit pen and paper assignments digitally in Google Classroom. 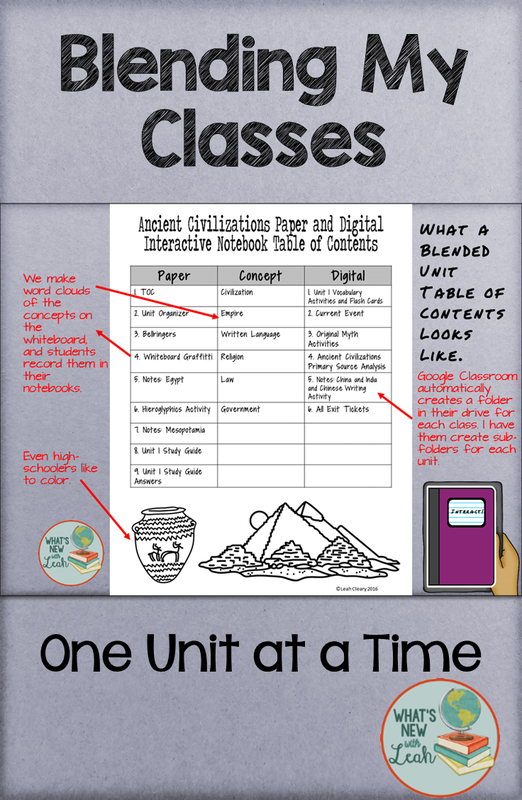 How do you blend your classroom in the 1:1 age? Leave a comment below to let me know! I love this idea! I have decided to do interactive notebooks next year, but was running into an issue of incorporating technology. We have been 1:1 for 3 years now, but are switching devices next year. Not all students are comfortable with fully integrated tech so the blended classroom is perfect. Question about grades. 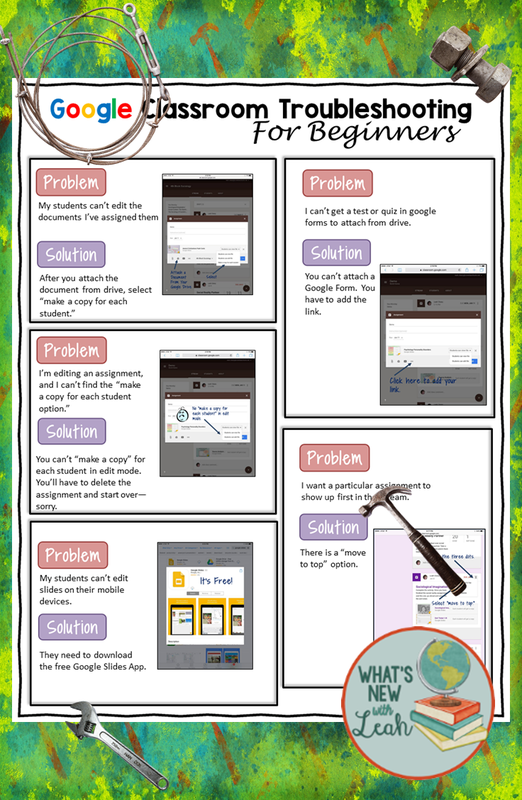 Grading in Google Classroom is easy. How do you grade the notebooks? Do you only grade once per unit? 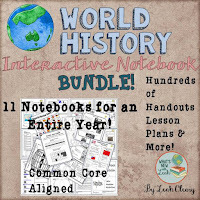 Are individual assignments in the notebook graded? If so, how? I use a rubric to quickly grade the notebooks once per unit. 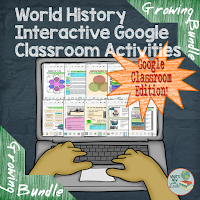 For assignments that I really want to look over, I create an assignment box in Google Classroom, have the students take a picture of the assignment, and submit it there. What do the kids do with their work after they take a pic of it? Do you have a separate notebook?